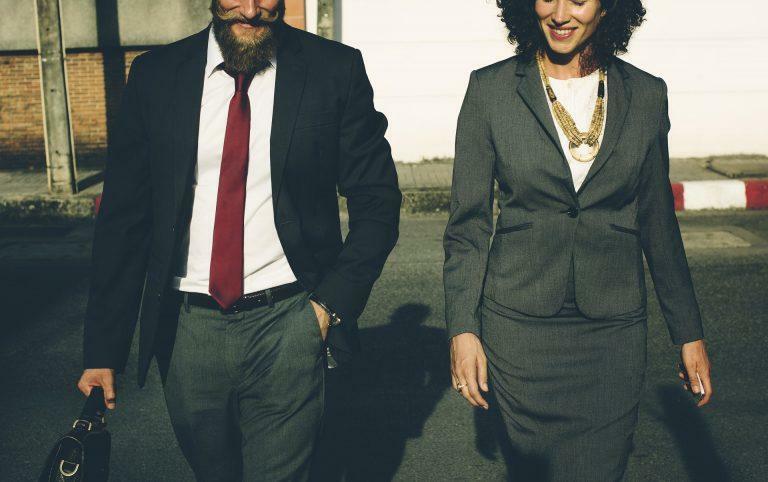 ​The popularity of beards seems to be endlessly growing. Yet, men have realized that you need to do more than set it and forget it in order to develop a remarkable beard. ​Beard oil, when incorporated into a grooming routine, can help soften up rigid hair and even strengthen and hydrate skin. We've taken a look at some of the best beard oils on the market to make your decision making the process a little easier. 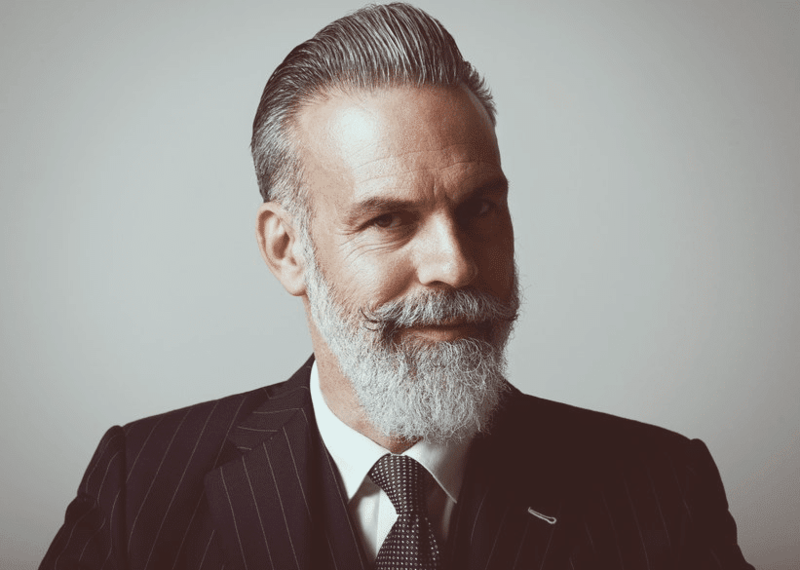 What is Beard Oil ? Many men don't see the need to purchase products for their facial hair, but we'd beg to differ. Beards demand the same attention as the hair on top of your head, which includes regular washing, brushing, and cuts. Moreover, facial hair has a tendency to become dry and unruly. Plus, the skin beneath a beard often becomes dry, experiences acne, and is prone to ingr﻿﻿own ﻿﻿hair. So, if you're thinking about growing a beard, no matter what the length, we highly recommend you give beard oil a try. Applying a small amount of oil can do wonders for your beard and facial skin. An effective blend of oils can seriously soften, hydrate, and smooth coarse beards. The same transformation usually takes place in the surrounding skin too. 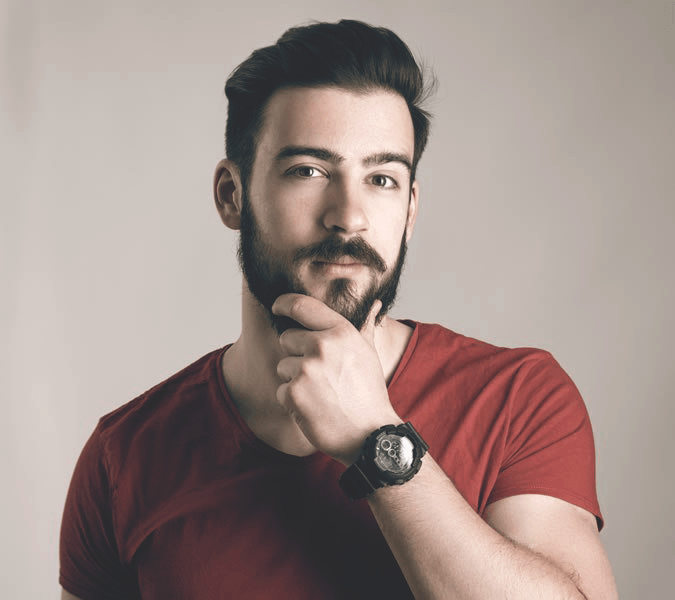 While it only takes a moment to apply beard oil, repetitive applications will leave your beard looking healthier and looking more handsome in no time. ​Beard oils usually consist of a mixture of oils that are selected for their beneficial properties. With so many beard oils on the market, there are countless combinations of oils available. 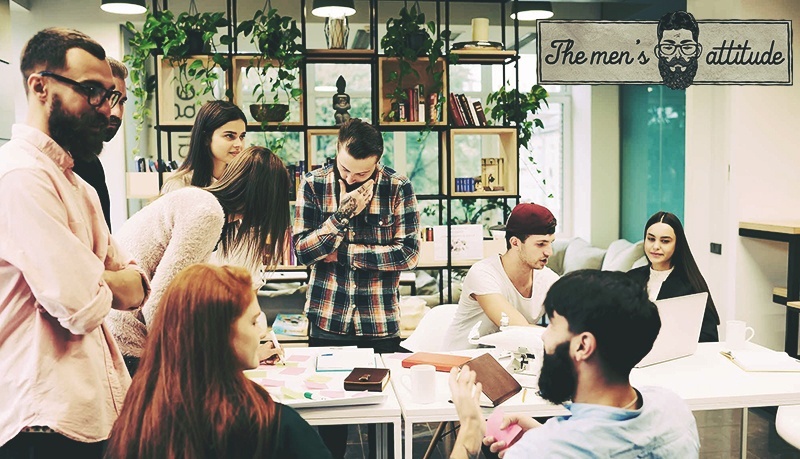 However, we've shortlisted some of the industry's mainstays and identified some of the restorative properties they possess. ​Grape-seed: This oil will hydrate skin and hair without clogging pores. Plus, it's known to tighten skin and reduce acne. ​Jojoba: Great for both the skin and hair, jojoba oil is not too different from the sebum, or oil, that our bodies produce. It helps to beef up hair by thickening the shaft and retain some serious moisture. ​Argan: Rich in Vitamin E, which is great for skin, argan oil can soften the most rigid hair follicles without making them appear greasy or weighed down. ​Primrose: Evening primrose contains antioxidants that help to actually repair damaged hair. New hair that comes in will look healthier and more robust, while older hair follicles will heal. ​Coconut: Coconut oil has so many health benefits, but it's also wonderful at taming flyaways and keeping your beard styled all day long. Moreover, it is a gentle, nonirritating leave-in conditioner of sorts. ​Many of the products we've selected include these oils, but other do not. When purchasing an oil blend, we recommend finding an organic, additive-free product whenever possible. Many non-organic plant growers use a hefty amount of pesticides when growing plants. This can have unforeseen side effects when applied directly to the skin. 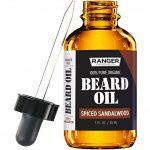 ​Applying beard oil couldn't get much easier. Most oils come in a small bottle that includes a dropper. Simply plop a few drops of oil into the palm of your hand and apply directly to your beard. This is best done directly after ﻿﻿cleaning ﻿﻿your face. Massage the oil into the hair follicles and surrounding skin. Attempt to lightly coat the entire surface area. Use an all-natural boar hair brush to evenly distribute the oil. You will soon notice a dramatic difference in the texture and health of your beard and facial hair. 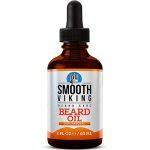 ​What is the Best Beard Oil? Gentlemen's Beard oil comes in a lovely brown glass medicine bottle equiped with a glass dropper and hip black and tan label. Inside, you'll find a blend of evening primrose, argan, sunflower, and jojoba seed oil and Vitamin E.
The all organic lineup of ingredients are subtle yet effective when put to work. After several applications, you'll likely start to notice your beard has softened and become a little less unruly. Unfortunately, medium to large beards will require anywhere from six to ten droplets of the oil on a daily basis. Therefore, you can expect to be purchasing this product frequently. However, you won't regret it when you discover your friends flocking over your coveted face blanket. Moreover, with virtually zero smell to recognize, people may even believe you grew that perfect beard on your own. Scented beard oils aren't for everyone, but we love the warm, sensual smell of Leven Rose's sandalwood beard oil. Made with 100% organic jojoba, rosehip, argan, and sandalwood oils, this blend does wonders to eliminate itchy, flaky dandruff ﻿﻿﻿﻿﻿and soften hair follicles. It is also an excellent cruelty-free, 100% vegan option. If you're looking to try out a slightly perfumed beard oil, this may be it. Leven Rose offers a 100% money back guarantee for those who aren't feeling this desert-like scent. However, you may learn to love the rich odor when you realize what this oil does for your skin and air. From smoothing out frizz, eliminating split ends, and leaving a glistening shine, you'll be reeling in the compliments with this product. 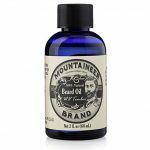 ​Mountaineer Brand Beard Oil moisturizes and conditions your beard while caring for and protecting the skin underneath. 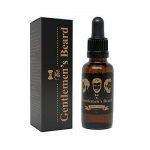 This beard oil is highly popular with men who want to grow their beard out while avoiding the itchiness that often comes with the process. The light timber scent combines cedarwood, fir needle, and eucalyptus. It's woodsy and masculine, but the clean scent doesn’t overwhelm. A daily application of Mountaineer Brand Beard Oil will make your whiskers look shiny and well maintained, no matter how long or bushy your beard is. All-natural and made without parabens, dyes, and artificial fragrances, this beard oil is perfect for the man who cares about the quality of the products he uses. 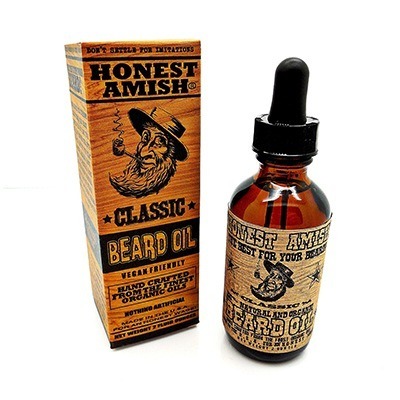 The Honest Amish company has an all-star lineup of beard grooming products, and their beard oil is no exception. It features seven essential oils, including avocado, pumpkin seed, moringa, sweet almond, apricot kernel, virgin argan, and kukui oils. That is certainly a mouthful, but we are certain that this extraordinary proprietary blend is a well-balanced elixir that lives up to its promise. The smell gives hints of black licorice and clove and conjures thoughts of prohibition era speakeasies, which is a good thing. 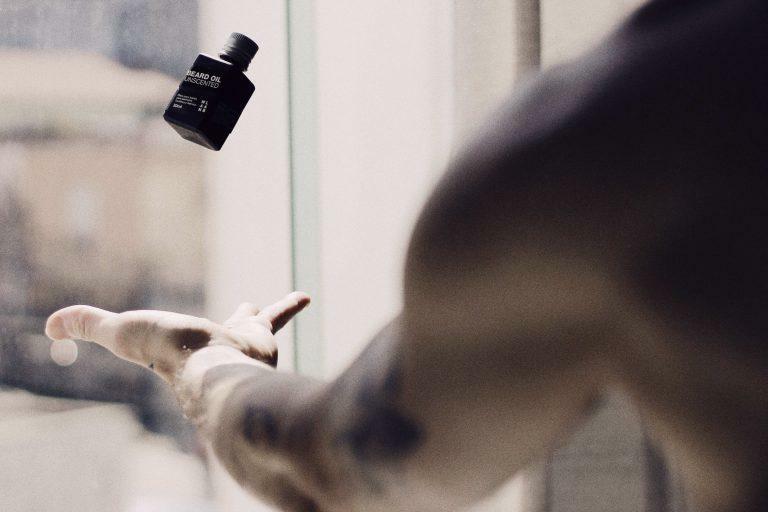 While this beard oil may be a sophisticated for some, we recommend you give it a try even if it outside your comfort zone. Anyways, the smell is subtle, so only those within an intimate proximity to your face will get a drift of the smell. A few drops of the oil, which are easily drawn from the built-in, glass dropper, can be spread throughout a good sized beard. it will tame flyaways, smooth down coarse split ends, bulk up, and hydrate almost any beard. Moreover, it leaves hair follicles feeling softer and healthier. Lastly, it even helps hydrate, soften, and reduce itchy skin. Smooth Viking Beard Oil features an expert blend of all-natural oils that are proven to soften and smooth the coarsest of beards. Ingredients like sweet almond, avocado, argan, castor, and pumpkin seed oil work nicely to provide a natural conditioner. For men looking to grow out a beard but don't want to be seen constantly scratching their face, this product is a must. While scented products can be satisfying in their own right, scents can grow old or displease loved ones. For that reason, it makes sense to play it safe with a scent-free product such as Smooth Viking. What's more, you can use this product and still wear your favorite cologne without worrying about a clash of aromas. The oils in this mixture are strong. Therefore, you only need around three droplets to satisfy a medium sized beard. The smell portion of the product is easy to distribute throughout a hair mass and doesn't build up or look greasy. However, use this product sparingly, as it can sometimes weigh down thin hair if applied too generously. After taking a look at some fantastic products, we think it is safe to say that Smooth Viking Beard Oil is our favorite for a number of reasons. The product includes a number of rich botanical oils that wouldn't be worth putting together yourself. They are highly effective and long lasting. A few drops of this product will last you all day without looking greasy. Moreover, you don't need to worry about an offensive scent, because this product has virtually no smell. Whether or not your beard is new or old, beard oil can produce some fabulous results. While many men seek out a maintenance free route, beard oil takes only a few seconds to apply. By simply adding an additional step to your morning routine, you could drastically improve the health and appearance of your facial hair. Moreover, the oils used to sooth and condition the hair are also compatible with your skin. We wouldn't be lying when we say you may have the urge to apply these oils all over! Nevertheless, stick to the face and your beard will thank you.